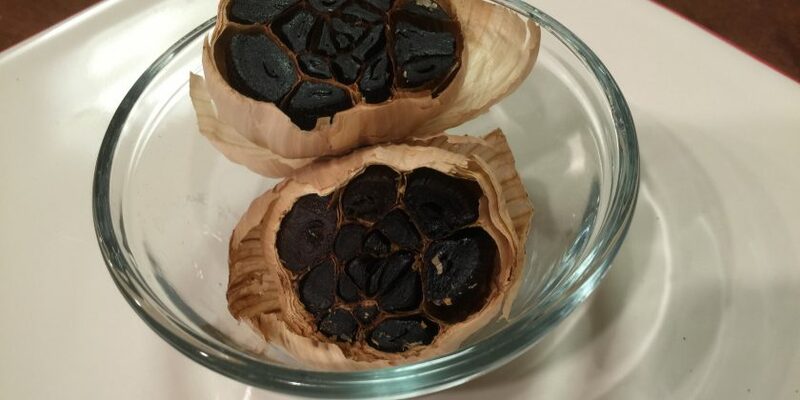 Black garlic has its roots in ancient Korea around 2004 AD. It’s delicious with an amazing caramelized flavor. While many people (and Websites) claim it’s a fermented product, the reality is that it’s actually just slow cooked at 140f. At these temperatures, the cultures required for fermentation won’t survive. What you’re left with is the product of the milliard reaction which gives this its signature color. 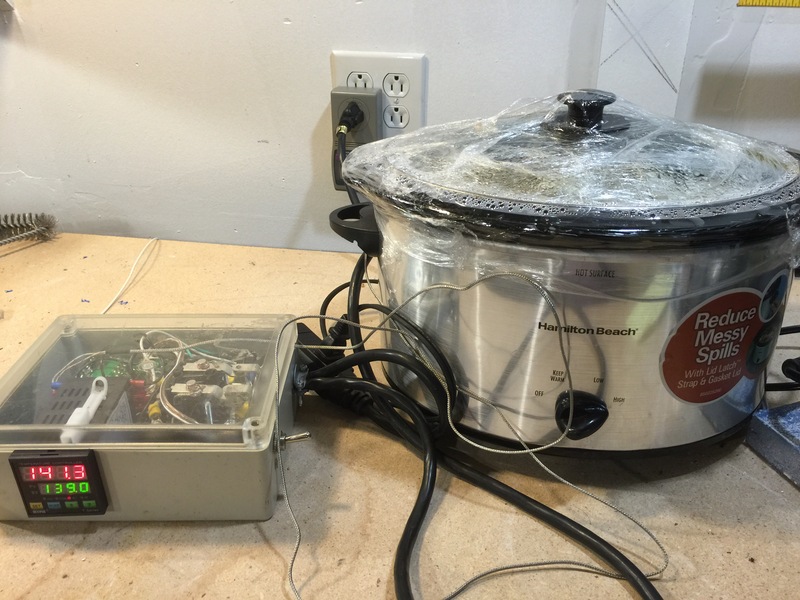 Plug slow cooker into temperature controller with probe in the center of the crock and the slow cooker set to "Low". Wrap slow cooker in plastic wrap. Maintain temperature at ~140f for 30-40 days. After the specified time, take the garlic out and let it air dry. Store in a cool place (refrigerator) or freeze for long term storage. Unless you enjoy the overwhelming aroma of garlic, operate this outside of your living space. Mine is running in the garage. Other webpages suggest wrapping the garlic in foil, that is absolutely unnecessary. My first batch was produced with the slow cooker on High but this was a mistake. The high temperature swings overcooked some of the cloves at the bottom of the crock. Be sure to use the Low setting. 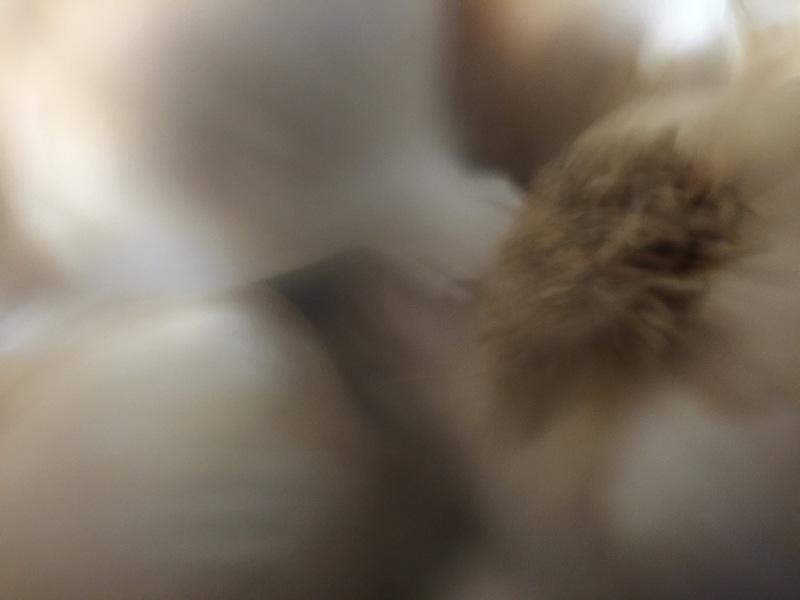 OMG, there are 7 times that I tried to make black garlic, but all are disappoint. This is a great idea for the shear satisfaction of having produced it, (untested so no idea if it has a satisfactory result or not), but for economic reasons, surely it would be cheaper to buy than the increased electricity bill! The cost of electricity for this would be about $5 over the time period. I checked the temp of slow cookers on low and it’s 180 to over 200. Warm is 140 to 175. Should I use warm or low? Thank you for sharing this. Try it without garlic with your slow cooker on low and keeping an eye on your temperature controller for at least two days. You want your slow cooker at the lowest possible setting. The heating elements are at the bottom and they’ll get warmer than the rest of the pot. Be patient and if at the end of the two days, you’re unable to maintain the temperature — turn it up another notch and try again. Enjoy!